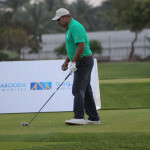 Dubai, 17 March 2015: A host of Emirati and expatriate Indian golfers came together at the weekend for a round of golf and spirited competition in the India-UAE Friendship Cup. 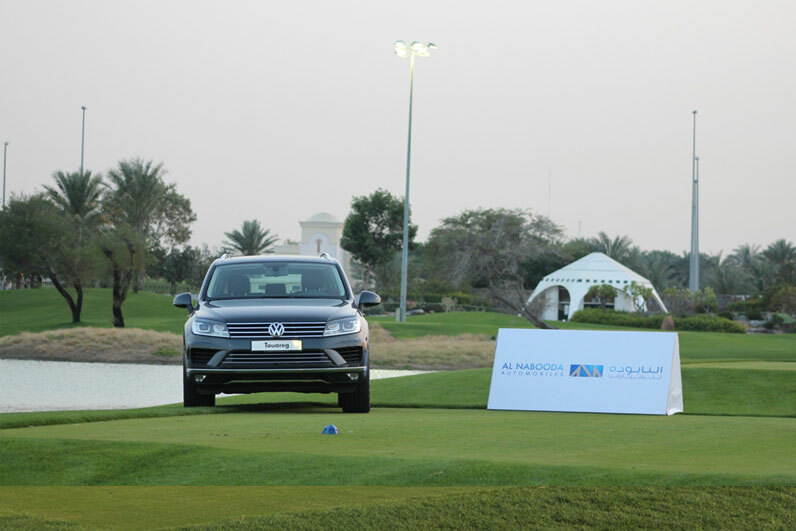 Supported by Al Nabooda Automobiles, the exclusive distributor of Volkswagen in Dubai and the Northern Emirates, the Dubai leg of the tournament at the Faldo Course of Emirates Golf Club was hailed an overwhelming success. 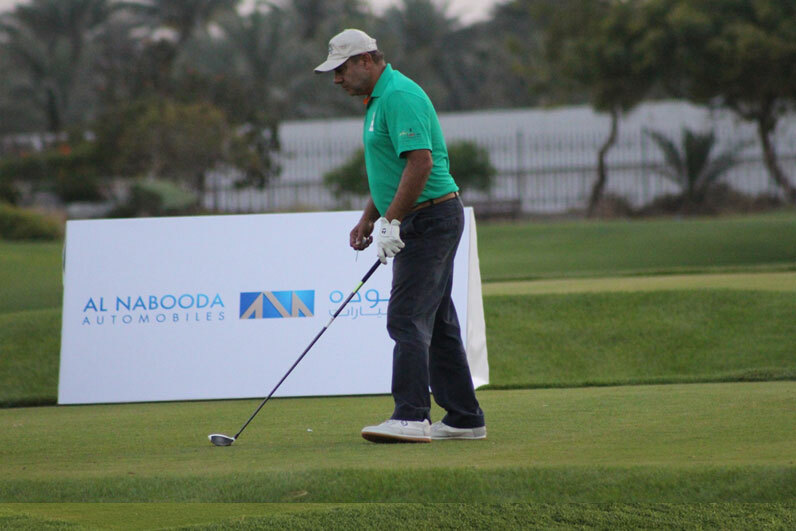 Thierry Seys, Volkswagen General Manager at Al Nabooda Automobiles said: “This event is a great way to bring together two large communities in the UAE and the second year of the tournament is proving to be a big success. 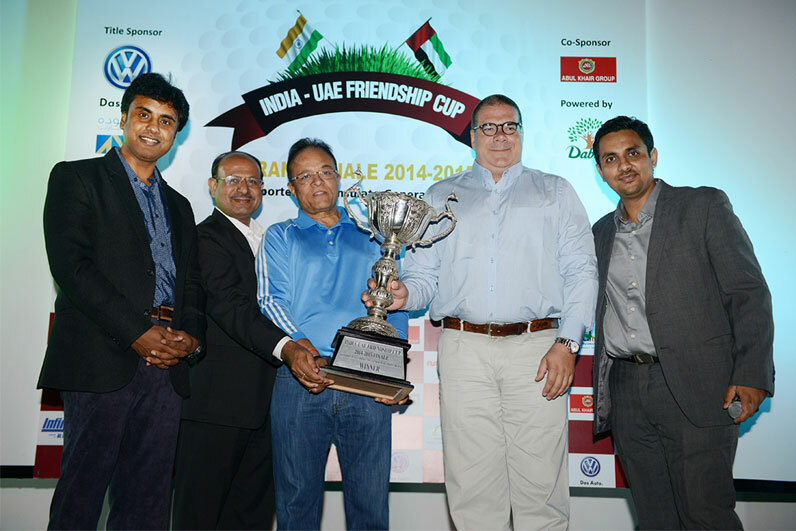 The India-UAE Friendship Cup was introduced in 2014 to promote cultural interaction between the UAE’s Indian expatriate community and the growing number of Emiratis who have a passion for golf. 1. The golfers at the India-UAE Friendship Cup, sponsored by Al Nabooda Automobiles, pose for a picture to capture a memorable day of golf and socialising. 2. 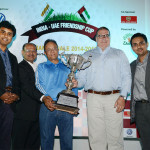 Thierry Seys, Volkswagen General Manager at Al Nabooda Automobiles, celebrates with Mr. Narendra Swarup, winner of the India-UAE Friendship Cup golf tournament. 3. 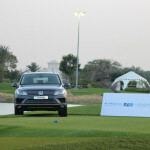 The new Touareg sits by the Emirates Golf Club lake while players pitch to win the cup.